The PEEPS & COMPANY® products, information, and additional gift pack have been provided by PEEPS & COMPANY®. All opinions are as always, 100% my own. I’ve said it before and I’ll say it again, the only thing better than a PEEP is a chocolate dipped PEEP. The marshmallow and sugar makes for the perfect sweet treat. Every year PEEPs make a big appearance in Easter baskets. We don’t go all out with Easter baskets but instead give some candy and usually one small toy or sorts. As the little man just keeps getting older his little toy has evolved into a book or a CD. But the one thing that doesn’t change from year to year is the inclusion of PEEPs in our Easter baskets. Chicks are orange delight flavored and dipped in orange fudge to enhance the flavor. marshmallow chicks sprinkled with fun rainbow confetti. to create a burst of watermelon in these ten green chicks with a blush pink center. chocolate mousse-flavored Chicks dipped in either creamy milk or dark chocolate. These fun flavors as well as the classic PEEPs will be split up among the kids this year for Easter. 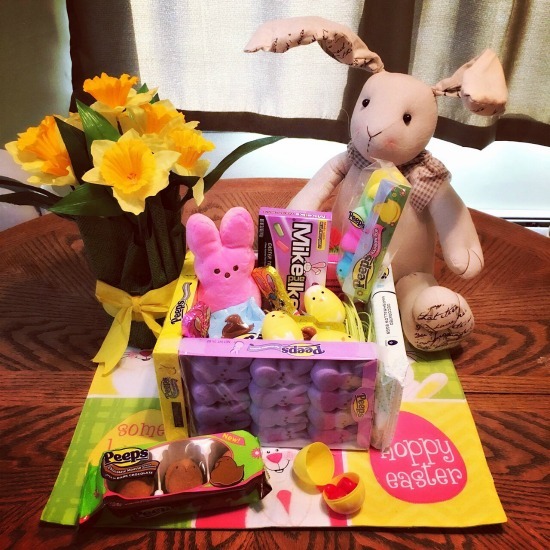 Kimberly at She Scribes created this adorable Easter basket using PEEPs as the actual basket. I love the way this turned out. Just click on the photo for the full instructions. But I decided to go another way. 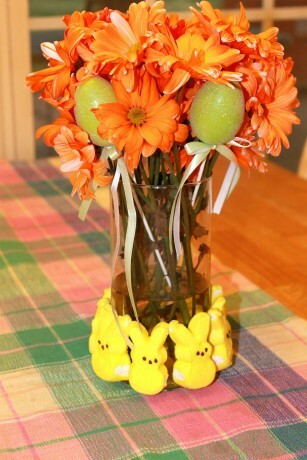 Instead of an Easter basket, I wanted to make an Easy Easter Centerpiece. Follow the directions on the can of polyurethane and spray the PEEPS on both sides. Allow to dry fully. One dry, use hot glue to attach PEEPS around the bottom of the vase. Fill with flowers and water and display. It really is that easy. You can add anything extra to the vase that you want. I found some cute glitter green eggs on sticks with ribbon on them. I added those to the flowers for some more color. 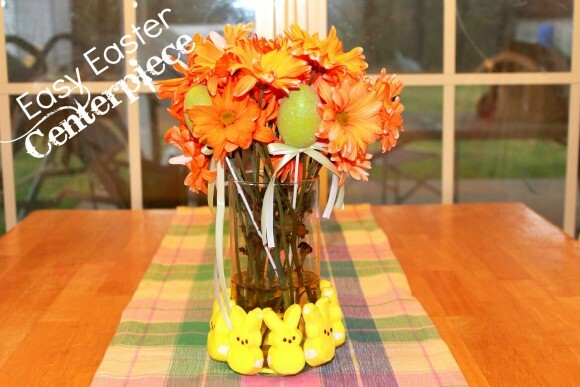 Just like that I have an adorable but easy Easter centerpiece that brightens up our table. From now until April 15th use promo code EASTERTREATS to save 20% off your order at the PEEPS & COMPANY® Website.